The post Six Easter traditions in Spain appeared first on Hostelworld Blog. The post Make a splash at the best beaches in Ibiza appeared first on Hostelworld Blog. 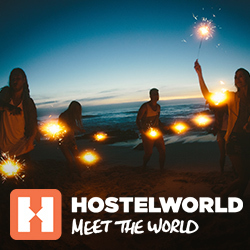 The post 15 Reasons to Visit Spain (As If You Needed Any More) appeared first on Hostelworld Blog. The post Where to stay in Spain: a guide to every region appeared first on Hostelworld Blog. The post These locals will make you want to hit the road in Northern Spain right now appeared first on Hostelworld Blog.